How can I track an initial coin offering (ICO) or token sale? Note: these two transactions could be one right after another or months apart. The could also be to the same wallet or different wallets. Essentially copying the information about the received token, including the quantity, the symbol, and the wallet. Update the transaction. If you don't receive the token from the sale right away, wait until you receive it to complete the steps above. 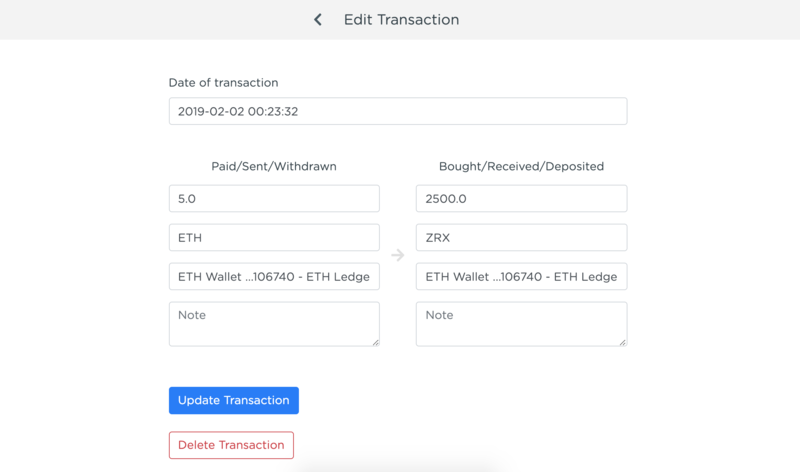 In the interim, you can treat the sent side of the transaction as a sale (for fiat), and then complete the edits as above once the coin is received and available on CoinTracker.